In the corporate move Medikaloka Hermina offered 351.4 million new shares, equivalent to 11.8 percent of the company's issued and fully paid up capital, to investors for a price of IDR 3,700 per share. Thus, the company raised IDR 1.3 trillion (approx. USD $93 million) from the IPO. About 25 percent of the IPO proceeds will be injected into the company's subsidiaries, including Medialoka Jakabaring, Medialoka Samarinda, Medialoka Padang. These injected funds will be used for the opening of new hospitals in Palembang (South Sumatra), Samarinda (East Kalimantan), Padang (West Sumatra) and at other locations. Another chunk of 25 percent will be used by Medikaloka Hermina for the capital expenditure budget, particularly for the purchase of medical equipment such as MRI, CT-Scan, C Arm, and other medical products. Approximately 38 percent of the IPO proceeds will be used to repay all of the company's debt at Bank DBS Indonesia as well as to settle obligations related to its Medium Term Notes I (Year 2017). Meanwhile, the remaining 12 percent is set to be used for the company's daily operational needs. Citigroup Sekuritas Indonesia, Credit Suisse Sekuritas Indonesia, DBS Vickers Sekuritas Indonesia, and Mandiri Sekuritas acted as underwriters for the IPO. Medikaloka Hermina's revenue reached IDR 2.68 trillion (approx. USD $191.4 million) in full-year 2017, up 19.9 percent from IDR 2.23 trillion in the preceding year. Meanwhile, Medikaloka Hermina's patients grew by 28.6 percent from 188,719 people in 2016 to 242,741 the following year. However, it was not the most successful trading debut. On the first day shares of Medikaloka Hermina fell 14.32 percent to IDR 3,170 a piece. 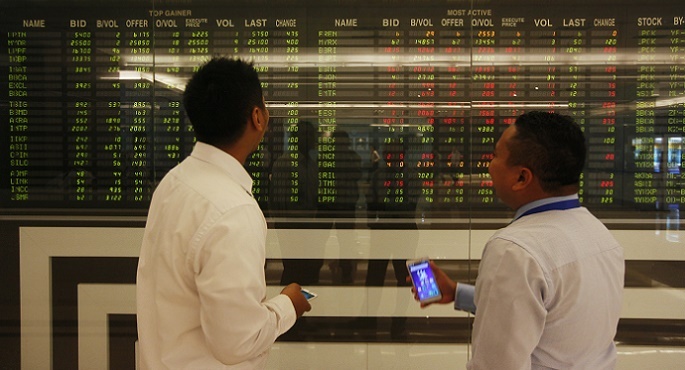 On the same day the benchmark Jakarta Composite Index rose 0.06 percent. So far in 2018 fourteen companies have been added to the Indonesia Stock Exchange: telecommunication construction services company LCK Global Kedaton, coal miner Borneo Olah Sarana Sukses, helicopter transportation services company Jaya Trishindo, solar panel manufacturer Sky Energy Indonesia, trade, transportation and logistics services provider Indah Prakasa Sentosa, telecommunication support services company Gihon Telekomunikasi Indonesia, chemical manufacturing company Tridomain Performance Materials, property developer Dafam Property Indonesia, financial institutions Bank Tabungan Pensiunan Nasional Syariah and Bank BRISyariah, investment company Charnic Capital, sanitary ware company Surya Pertiwi, and hospital operators Royal Prima and Medikaloka Hermina.